“Elegant Oasis” Burning Desire Emporium Corona, CA. Burning Desire Emporium. What Burning Desire Offers This elegant oasis with a stylish hardwood floors and soft leather chairs. Has a well ventilated, enjoyable, and relaxing environment for all cigar smokers. Fully-stocked … Continue Reading “Elegant Oasis” Burning Desire Emporium Corona, CA. Montecristo Bar Las Vegas, NV. Montecristo Bar inside Caesars Palace Casino. In its golden anniversary year, Caesars Palace continues to expand the empire with the addition of Montecristo Cigar Bar. The cigar lounge pairs notable … Continue Reading Montecristo Bar Las Vegas, NV. “Vast range of cigars” La Case de Habanos Gibraltar. La Case de Habanos Gibraltar. Welcome Visitor, “La Casa del Habano” is a franchise chain with over 90 stores worldwide. Gibraltar as latest inclusion to the chain, ensures with … Continue Reading “Vast range of cigars” La Case de Habanos Gibraltar. “The Great British Cigar Merchant” James J. Fox Cigar Lounge London. James J. Fox Cigar Lounge London. SINCE 1787 We have been trading in fine tobacco and smokers’ accessories from 19 St James’s Street for over 225 years and our customers … Continue Reading “The Great British Cigar Merchant” James J. Fox Cigar Lounge London. “Premier London destination” The Edward Sahakian’s Cigar Shop & Sampling Lounge at the Bulgari Hotel London. The Edward Sahakian’s Cigar Shop & Sampling Lounge at the Bulgari Hotel. The internationally renowned and multi-awarded cigar merchant Edward Sahakian established the Cigar Shop and Sampling Lounge of the … Continue Reading “Premier London destination” The Edward Sahakian’s Cigar Shop & Sampling Lounge at the Bulgari Hotel London. “Fine Cigars” Davidoff of London. Edward Sahakian’s Davidoff of London. Davidoff London has one of the largest selections of great cigars in all of London. This tobacconist has many cigars from all around the world, … Continue Reading “Fine Cigars” Davidoff of London. “Quiet & elegant” Freedom Of The Seas Connoisseurs Lounge on board Royal Caribbean cruise brand. Connoisseurs Lounge. Royal Caribbean International is an award-winning global cruise brand with a 46-year legacy of innovation and introducing industry “firsts” never before seen at sea. The cruise line features … Continue Reading “Quiet & elegant” Freedom Of The Seas Connoisseurs Lounge on board Royal Caribbean cruise brand. Tobacco Road Sacramento in Capital City “Sacramento”, CA. Tobacco Road Sacramento in Capital City “Sacramento”, CA. Welcome to Tobacco Road No matter what you call us, we are the friendly little cigar and pipe store with the huge selection … Continue Reading Tobacco Road Sacramento in Capital City “Sacramento”, CA. Don Lupe Cigar Lounge Long Beach, CA. Don Lupe Cigar Lounge Long Beach, CA. We are a cigar lounge and shop with one of the largest selections around the Long Beach area. Our team possesses a knowledge … Continue Reading Don Lupe Cigar Lounge Long Beach, CA. Olde Town Smoke Shoppe Temecula, CA. Olde Town Smoke Shoppe Temecula, CA. Welcome to Olde Towne Smoke Shoppe in Historic Old Town Temecula. 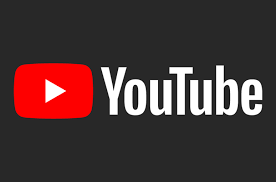 We are sometimes called Old Town Smoke Shop, or Old Town Smoke Shoppe, … Continue Reading Olde Town Smoke Shoppe Temecula, CA. Posted May 13, 2016 Cigarros Fumadores! La Casa del Habano Montreal, Canada. La Casa del Habano Montreal, Canada. La Casa del Habano is an internationally acclaimed franchise chain of Premium Cigar Shops. 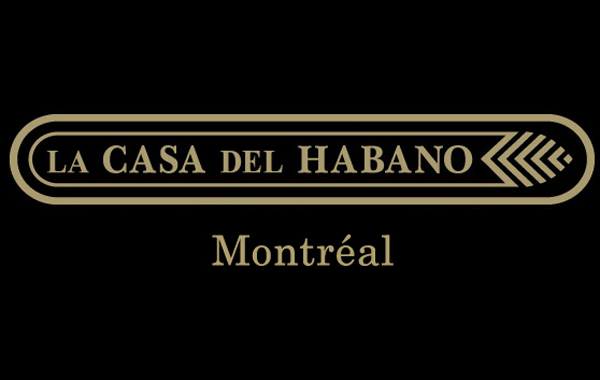 The trademark La Casa Del Habano is registered worldwide by … Continue Reading La Casa del Habano Montreal, Canada.